Austrian motorcycle manufacturer KSR Moto is a relative newcomer to the scooter and motorcycle market, yet has wasted no time in making an impression. The company's machines cover everything from sleek and speedy two-stroke scooters that are perfectly designed for darting around busy city streets, through to solid road bikes. Browse our current selection of used KSR Moto bikes for sale in Huddersfield here on the website, and feel free to take a closer look by paying a visit to our showroom. 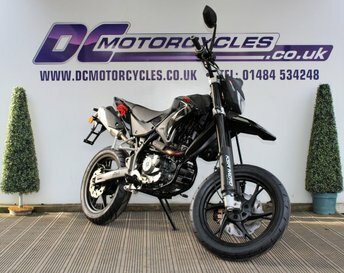 DC Motorcycles is a leading supplier of quality, affordably priced scooters and motorbikes, and our dedicated team will do everything possible to help you find the right model to suit your needs.